In a career spanning 5 decades and 3 regions of the nation, Andy May’s originality and optimism combined with his love and respect for America’s musical roots shine through his work. 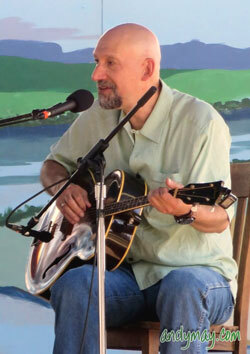 Through the years, he has appeared with artists as diverse as Pete Seeger, Merle Haggard, Nickel Creek, Brownie McGhee & Sonny Terry, and John Hartford. 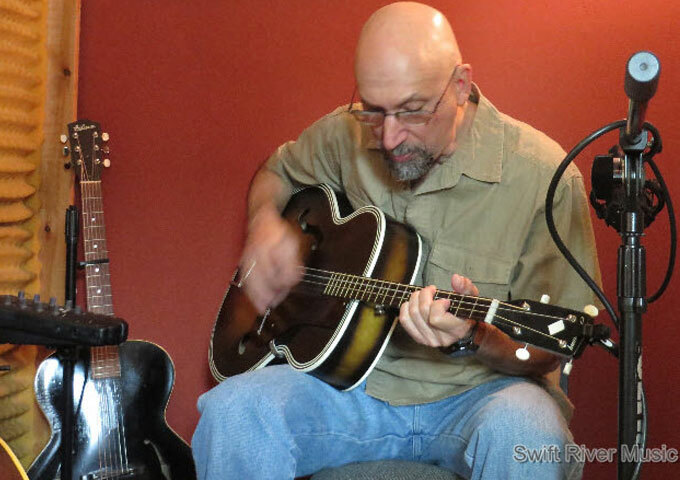 Andy also runs the record label and production company, Swift River Music, which has become the home label for other independent artists as well as himself. 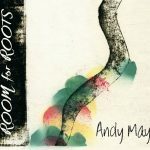 Andy May currently has 7 CDs on Swift River Music, with the 7th, “Room for Roots” having just been released during April, 2016. I’ve been waiting a long time for this album, it was worth the wait. 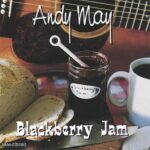 In my opinion there are few other songwriters who get small town and real American life than Andy May. “Room for Roots” is one of his best examples of that skill. From the colorful images of “Life’s a Gig” to the feelings of desperation and triumph in “The Woman in the Wings” you can feel the salt of life in his songs. The album has the great acoustic simplicity for most of the songs that just lets Andy’s soul shine through. This simplicity is interspersed with a bit of swing on “Haggard and the Queen” and heavier Americana with “Helen’s Eyes”. Really, few active songwriters can grab a listener with small-town stories and sharply cut images like Andy May. Grab a listen to “Stone Soup from Hard Times (Featuring Maura O’Connell)” or “The Harvest” and “My Small Town”. The characters in his songs are everybody’s friends, neighbors and relatives. 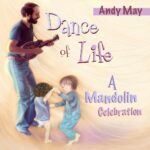 Andy deftly employs just the right combination of words against the backing of solid Americana-folk to paint pictures of tricky relationships, the power of nostalgia, the experience of growing set in one’s ways, and lessons learned the hard way. Andy seems to write of only real life; if not life lived by himself, then life that is carefully observed and empathized with until a true story emerges. All of these songs are memorable long after hearing them and give the listener something to think about. That, again, is a rarity in popular music nowadays. 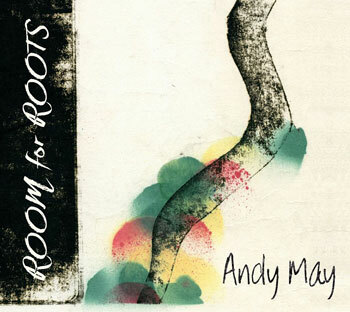 There were so many turns of phrase that just captured my imagination and pulled me into the world created by Andy May on “Room for Roots”. Not to lapse into hyperbole but I really find Andy to be a unique talent whose music is timeless and sits nicely alongside anything created by other classic Folk-Americana artists.